Robert Trent Jones Jr. 1988 18 72 7028 45 minutes from downtown. 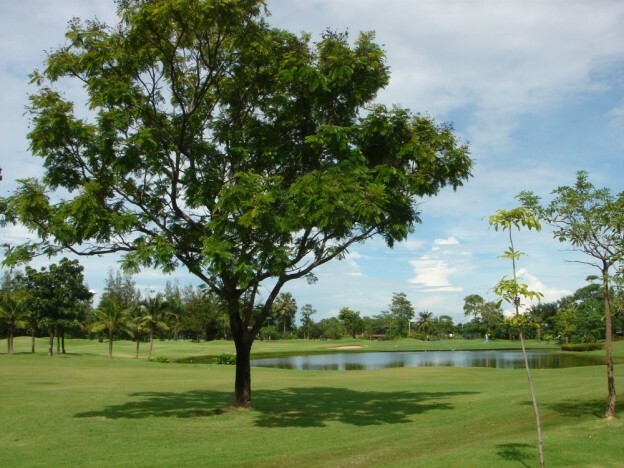 Designed by Robert Trent Jones Jnr., and opened in 1988, Green Valley Country Club in Bangkok is possibly one of Thailand’s most beautiful golf courses. Located in beautiful countryside encompassing hundreds of mature trees and shrubs with many great lakes, the beauty of this course is not just in its surroundings, but also in the clever placement of the fairways, greens and bunkers. Many of the fairways give sloping shots and some of the greens are sited behind mounds. Although difficult, the course is also most enjoyable – the four par-fives in particular, especially those with water hazards lining the fairway.